Description: Arihnda Pryce was a human female who served as Governor of the Lothal sector fourteen years after the rise of the Galactic Empire. Prior to her rise to governorship, she was the manager of Pryce Mining, aide to Lothal Senator Domus Renking, manager of the Bartanish Four Sector citizen's assistance office, an employee at the Proam Avenue Citizen Assistance, and a member of the Higher Skies Advocacy Group. Pryce managed to secure the Governorship of Lothal by trading information about Higher Skies' espionage activities to Grand Moff Wilhuff Tarkin. During her rise to power, Pryce forged an alliance with the Chiss Imperial Navy officer Thrawn, who later became a Grand Admiral. Once in office, Pryce outmaneuvered and engineered the downfall of her political rivals Governor Ryder Azadi and Senator Domus Renking. As Governor of Lothal, Pryce presided over the expansion of the Imperial military presence on Lothal, which became a major Imperial base in the Outer Rim Territories. Pryce was often absent and delegated the governing of her planet to several local ministers including Maketh Tua. The Imperial presence on Lothal attracted resistance from the Phoenix Cell, which was part of the growing rebellion. While rescuing her parents, Pryce played an important role in neutralizing the Batonn insurgency, leading to high civilian casualties. In 2 BBY, Governor Pryce solicited Grand Admiral Thrawn and his Seventh Fleet's services in ferreting out the Phoenix Group in the Lothal sector. 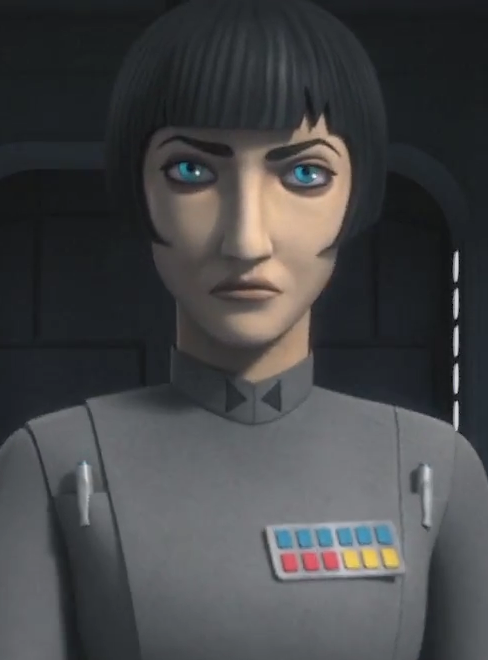 She joined Thrawn and the Imperial Security Bureau Agent Kallus in combating the rebel presence in the Lothal sector. Unknown to Pryce, Kallus was an undercover rebel informant known as Fulcrum. During the course of the insurgency, Pryce fought rebel insurgents, took part in an unsuccessful hunt for the rebel leader Mon Mothma, and took part in the Battle of Atollon. Eventually, Pryce fell out of Thrawn's favor when she destroyed the Lothal City fuel depot, killing Kanan Jarrus in the process one year prior the Battle of Yavin. 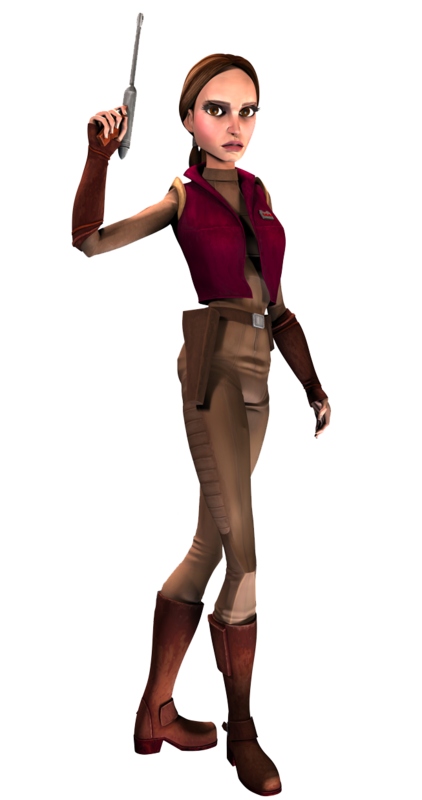 She later perished during the Liberation of Lothal, remaining loyal to the Empire to the end. Arihnda Pryce was a human female from the Outer Rim planet Lothal. Arihnda was the daughter of Elainye Pryce and Talmoor Pryce. The family owned a mine on Lothal that was located on land shared by the former Governor Ryder Azadi. She grew up a quiet life, which she enjoyed as a child, watching the sunset and the laughter of children from all species and backgrounds playing. But as Arihnda grew older, she begun to resent the quietness and dullness of the open spaces for lacking culture and excitement. Regarding Lothal as boring, Arihnda sought to escape to more cosmopolitan worlds, where excitement and bright lights existed alongside what she regarded as "sophisticated people." Her father Talmoor eventually discovered a source of doonium, a precious metal used in the manufacture of starship hulls and something valued by the expanding Imperial Navy. When Arihnda came of age, she inherited her father's mining company Pryce Mining. When Arihnda was in her mid-thirties, the Governor Azadi sought access to Pryce Mining's doonium mines. He sent one of his staffers Arik Uvis to buy another 21 percent stake in the company, giving him a controlling interest. However, Arihnda rejected the offer. In retaliation, Governor Azadi's office framed Arihnda's mother Elainye for embezzlement. After learning the news from her father Talmoor, Arihnda visited the police station only to learn that her mother's bail request had been denied and that she had not been allowed to receive visitors. She later conferred with Talmoor and realized that Uvis was behind her mother's trumped up charges. In desperation, Pryce sought the help of Lothal's Senator Domus Renking. 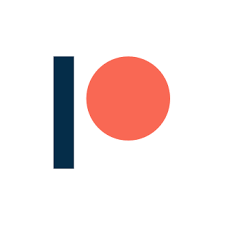 Senator Renking agreed to to help Pryce's mother by shifting the blame onto the Lutrillian heavy equipment inventory operations manager Pomi Harchmak. To prevent Azadi from taking over the company, Renking persuaded Arihnda to sign over the rights of her company to the Empire. As compensation, he found Arihnda's parents new jobs as the assistant manager and foreman of the Creekpath Mining and Refining complex on the planet Batonn. Renking also secured Pryce a new job as a staff member at one his citizen assistance offices on Coruscant. With little choice, Pryce accepted Renking's terms and sold Pryce Mining to the Empire. Following the meeting, Pryce spent three hours remonstrating with her parents about the opportunity they were given while warning of the dangers if they refused. While she was helpless in the past, she convinced them that she would help them in the future. In the end, Pryce's parents agreed to leave their home and relocate to Batonn. On Coruscant, Arihnda Pryce developed a reputation as a tough and effective civilian assistance officer who lobbied for the interests of Lothalian expatriates on the galactic capital. On one occasion, Pryce confronted the landlady Chesna Braker for neglecting to repair a leaking pipe in one of her tenant Daisie's apartment blocks. Following a tense argument, Braker reluctantly agreed to fix Daisie's leaking pipe after Pryce reminded her to comply with Coruscant laws and regulations. In return for her services, Senator Renking took advantage of a new program encouraging senators to fund supplementary citizen assistance offices to provide Pryce with a managerial job at his fifth new office in the Bartanish Four Sector. This new job came with an apartment two blocks and six levels away from her workplace. Unlike her previous positing, this new office was open to all Coruscanti citizens. Pryce regarded the Bartanish Four Sector job as a modest step up the social ladder to the all-powerful Federal District. As time passed, Arihnda befriended the waitress Juahir Madras and her friend Driller MarDapp, who worked with the Higher Skies Advocacy Group. She helped the former to find an apartment in her own building and to move her things in. During the Ascension Week celebrations leading up to Empire Day, Pryce used her position as a senatorial employee to secure Juahir and Driller places at an exclusive Imperial ball at the upmarket Alisandre Hotel. The ball was attended by several Senators and Imperial Military officers including the Imperial Security Bureau Colonel Wullf Yularen, Ensign Eli Vanto, and the Chiss Senior Lieutenant Thrawn. While conversing with the group, Arihnda learned that Thrawn was a rising star in the Imperial Navy, who had successfully neutralized a group of pirates in the Mid Rim. Pryce also became acquainted with Ensign Vanto and learned that Colonel Yularen had brought Thrawn and Vanto to Coruscant for the purpose of social networking. Senator Renking then dispatched Pryce on an assignment to deliver a datacard to Moff Ghadi. He instructed her to tell Ghadi to load the card onto a secure datapad, download the files, and then return the card to his office. Not suspecting that anything was afoot, Pryce told Juahir and Driller to enjoy themselves and that she would be back. At Moff Ghadi's office, Pryce learned that Senator Renking had planted false data in the card. Moff Ghadi handed a different card and then sprayed her with polstine spice, a highly illegal drug that could earn one life imprisonment. With Pryce in legal trouble, Moff Ghadi blackmailed her into returning the datacard to Senator Renking's office. Pryce then slipped out of the ballroom and caught an air taxi to Renking's office. Per Ghadi's instructions, she slotted Ghadi's data card into the slot in the desk safe. Pryce then spent the night at Driller's borrowed apartment, brushing off Juahir's questions by claiming to be sick. The following day, Pryce arrive at Senator Renking's office to learn that his office was facing allegations of financial and corporate discrepancies. Due to a cut in funding, Senator Renking closed down seven of his citizen assistance offices including Pryce's office in Bartanish Four Sector. After Senator Renking had dismissed the other employees, he confronted Pryce, who replied that she had no choice because Moff Ghadi had threatened to have her arrested. Senator Renking dismissed her for her naivety and demanded the return of her airspeeder key. He also evicted her from her apartment and sent several Ugnaughts to clear out her personal effects. After being dismissed from her job, Arihnda Pryce found comfort in her friends Juahir and Driller. When Juahir asked if her dismissal had anything to do with why she had bailed on them the previous night, Pryce confirmed that this was the case but declined to talk about it. Taking pity on Pryce, Juahir offered her a place at her apartment. She also offered Pryce a job at the restaurant Topple. Arihnda agreed to stay with Driller and Juahir for the rest of Ascension Week but made it clear that she would look for her own place. Unwilling to depend on others for her survival, Pryce found work at the Proam Avenue Citizen Assistance. Despite her hostile reception from the reception staff member Nariba, Pryce managed to convinced the manager Alistar Sinclar to hire her by citing her experience dealing with tenancy, employment, and legal disputes. Since Sinclar had a shortage of employees, she convinced him to let her work the rest of Ascension Week for free. Admiring Pryce's brashness, Sinclar assigned her to desk eight. A year after the events at Alisandre Hotel, Juahir and Driller invited Pryce for dinner at The Pinnacle, a fancy restaurant in the Federal District. During the dinner, Driller invited Arihnda to join his Higher Skies advocacy group, seeking to utilize her expertise in mines, mining, and refining. Pryce also learned that Juahir had become a martial arts instructor at the Yinchom Dojo, which trained bodyguards for Imperial senators. While the new position did not come with many perks, Pryce accepted Driller's job offer because she wanted to move back into the centers of political power. She also took up Juahir's offer to share her apartment and provide dinner for her friend. As a member of a licensed advocacy group, Arihnda found that Imperial politicians and bureaucrats took notice of her group's advocacy work. While her new job did not pay as much as her previous job with Senator Renking, Pryce found Driller a reliable employer who paid her on time. He also had enough spare credits to keep her in outfits suitable for interacting with elites. One evening, Driller informed her that there had been an unusual number of Imperial takeovers of mining facilities and entire planets. He tasked her with pulling up the list and evaluating the importance of the mines in question, the circumstances of the Imperial takeover, and any patterns. Examining the data, Pryce discovered that the Empire had nationalized 28 mines dating back to a year before Renking had bought Pryce Mining. She found that 21 of these takeovers had occurred during the past year. While studying the recent Umbara takeover, Pryce discovered that the now-Captain Thrawn, the Chiss whom she had encountered at Alisandre Hotel the previous year, had played a key role in putting down the insurgency there. While on her way to Juahir's home, her turbolift malfunctioned and landed in the seedy Level 4120. Using her comm, Pryce managed to maintain contact with Juahir who told her to head to another turbolift six blocks to the west. Before she could reach another turbolift, Pryce was accosted by six young thugs, who demanded that she treat them to a drink. Before the thugs could harm her, Juahir arrived with one of her bodyguard students, Ottlis Dos. 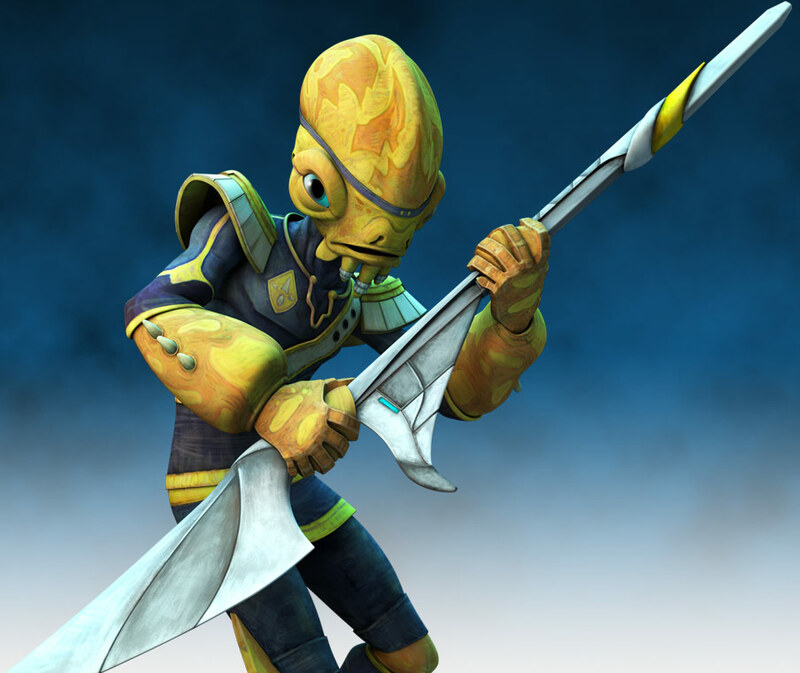 Using her martial art skills, Juahir defeated the thugs in physical combat and sent them retreating. After Juahir introduced Pryce to Ottlis, Pryce accepted martial arts lessons from Ottlis, who worked for an Imperial official. Out of gratitude, Pryce treated Juahir and Ottlis for dinner that night. When Captain Thrawn along with Ensign Vanto and Colonel Yularen visited the Yinchom Dojo, Pryce greeted Thrawn and his companions. When Colonel Yularen asked who was the woman overseeing a sparring session nearby, Pryce pointed out that the woman was her friend Juahir, who was an instructor. Pryce explained that she was visiting the dojo to establish a few contacts with some of the bodyguards who were training there. Pryce and the others then watched as Thrawn undertook a sparring session with the Togorian master H'sishi. Thrawn and his companions had visited the Yinchom Dojo to investigate the Dojo's links with Higher Skies, which was spying on senior Imperial officials. Later, Ottlis invited Pryce to his employer's office under the pretext of a martial arts training session. Pryce soon discovered that Ottlis' employer Moff Ghadi had summoned her for a meeting. After exchanging pleasantries, Ghadi questioned Pryce about her involvement with the Higher Skies Advocacy Group. Ghadi believed that Higher Skies was seeking to destroy him; citing that a meeting with a Higher Sky employee preceded the recovery of some his confidential financial information from a smuggling gang and a raid on one of his mines a week later. When Pryce asked what was stolen, Ghadi reiterated that nobody would get away with robbing a Moff. He then demanded that Pryce reveal who had hired Higher Skies to destroy him; suspecting Senator Renking or his rival Grand Moff Wilhuff Tarkin. Arihnda confided that she did not know who had sent Higher Skies to disrupt Ghadi's operations. At Ghadi's suggestion, she decided to contact her boss Driller. She told Driller that she was having a special evening training session with Ottlis at Moff Ghadi's office. Pryce also told Driller about her plan to take up an office assistant position with Grand Moff Tarkin. Despite his reservations, Driller encouraged her to apply for the job. Following her comm conversation with Driller, Pryce explained that Ghadi was not "anyone's" target because he had not instructed her to search Ghadi's office. Ghadi accepted Pryce's explanation but ordered her to copy all of Higher Skies' files, report on all their conversations, and to make a list of their contacts. Ghadi secured Pryce's cooperation by threatening to alert the Imperial Security Bureau. Ghadi also revealed that Ottlis was his double agent. After returning to the apartment that she shared with Juahir, Pryce reflected on her predicament. She decided to take up Ghadi's offer and spent the next hour digging up Higher Skies' files and records from their computer. After arranging the data into a neat package, she arranged a meeting with Commander Thrawn. Arihnda met with Thrawn at a corner booth in the Gilroy Plaza Diner and told him about her predicament with Moff Ghadi and Higher Skies. Thrawn advised her to use Ghadi's hatred of Grand Moff Wilhuff Tarkin to follow two possible attack vectors: turning the threat into an ally and then using him against the enemy or using the threat as a lever against the enemy in order to make him an ally. Thrawn also counseled her to be ready to turn on her friends Driller and Juahir in order to receive Colonel Yularen's protection. Putting her plan into action, Arihnda contacted Moff Ghadi and offered to send him all the information that Higher Skies had on Grand Moff Tarkin. Ghadi instructed her to download the data onto a datacard and to pass it to Ottlis at a Whitehawk Tower address. Later, Pryce managed to gain access to the Phindians Lady Teeyr Hem and her husband Senator Hem by buying them an expensive bottle of wine. Under the pretext of lobbying Grand Moff Tarkin, Pryce convinced Driller to secure an audience with the senior Imperial official. During the meeting, Pryce revealed that Higher Skies was using bodyguards to spy on high-ranking Imperial officials and senators. She also told Tarkin that Commander Thrawn had advised her to embark on a "double-layer thief program" to expose Higher Skies' activities. In return for her services, Pryce convinced the Grand Moff to make long overdue repairs on Thrawn's ship Thunder Wasp and to give Eli Vanto a long overdue promotion. Seeking revenge on Ghadi for blackmailing her in the first place, Pryce also supplied a voice recording proving that the Moff ordered her to collect Higher Skies' information about Tarkin and to send it to him. Grand Moff Tarkin was pleased because this provided ample evidence of a high official conspiring to use illegally obtained data to topple another high official. In return for providing information on Lothal's economic and society, Pryce convinced the Grand Moff to appoint her Governor of Lothal as a means of exacting her revenge on Governor Azadi and Senator Renking for taking her parents' mining company from them. Pryce reasoned that being made Governor would humiliate the former and make it easier to take down the latter. Tarkin accepted her offer in return for receiving the rest of the data. Using Pryce's information, Colonel Yularen's Imperial Security Bureau arrested Driller and the other members of Higher Skies. Accompanied by Colonel Yularen, Arihnda visited her friend Juahir at Yinchom Dojo and arrested her for using her training position to recruit and indoctrinate high-level bodyguards as spies. 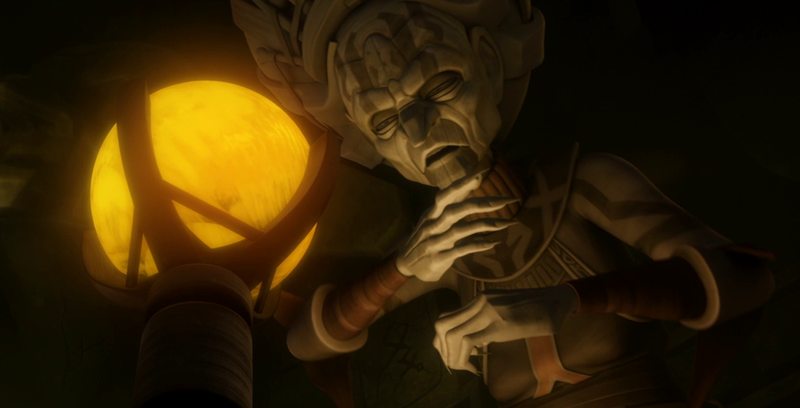 Yularen informed Juahir that one of her students Kaniki had made an assassination attempt on his employer Senator Evidorn. Juahir protested that her group did not order their bodyguards to kill anyone. With Higher Skies' activities exposed, Pryce then demanded that Juahir tell her whether she was her friend or just a tool. Juahir pleaded with Pryce that her friendship was genuine and that her disillusionment with the Empire had begun after Senator Renking had dismissed Pryce. When Yularen asked about Pryce's knowledge of the elusive Nightswan, Juahir responded that Driller had mentioned that name before but that they were only interested in making the Empire better for everyone. When Pryce accused Juahir of using her as a patsy, Juahir denied that was the case. When Juahir pleaded for Pryce to help her, Pryce told her former friend to cooperate with Colonel Yularen in return for escaping execution. Arihnda promised to use her position as Governor to get Juahir out of prison in a few years time. When Colonel Yularen asked about Master H'sishi, Pryce argued that there was insufficient evidence to charge the dojo with conspiracy; citing Thrawn's evaluation of the Togorian and the lack of documentary evidence pointing to her guilt. Showing mercy to H'sishi, Pryce advised the dojo to leave Coruscant as soon as possible. She warned that Juahir could try to shift some of the blame onto her back. H'sisi accepted Pryce's advice. Keeping his promise to Pryce, Grand Moff Tarkin arranged for Vanto to be promoted to the rank of Lieutenant Commander and Thrawn to the rank of Commodore. Thrawn was also given command of the Imperial Star Destroyer Chimaera. Arihnda Pryce was appointed acting governor of the Lothal sector after Azadi, was charged with treason by the Galactic Empire and imprisoned. Following her deal with Grand Moff Tarkin and the Imperial crackdown on Higher Skies, Pryce spent a few years on Coruscant training to be a Governor. While Pryce learned the details of her new job, she delegated the governing of Lothal to several ministers including Maketh Tua, the Minister of Industrial Production. Though most governorship appointments had to run through the Imperial Palace, Tarkin used his high-level connections to cut through bureaucratic red tape. Upon returning to Lothal, Pryce was greeted by Minister Tua, who informed about a twenty percent decline in refinery output. After learning that Pryce Mining's doonium vein had been exhausted, she ordered that the company be shut down. Pryce also made sure that employees who had worked for her family were given priority in securing the best positions. She then arranged a meeting with her old foe, Senator Renking. When Senator Renking objected to the closure of Pryce Mining, Governor Pryce responded that the mine was running at a loss and that its employees would be transferred elsewhere. She also reasserted her authority over the Senator and warned him that she had powerful friends and patrons. In secret, Pryce contacted the Anx mining boss Eccos and confronted her about withholding information on a secret vein of doonium. Since Pryce had shut down Pryce Mining, Pryce allowed Eccos to continue extracting the remaining doonium in secret. For the next several months, Pryce spent her time in Lothal's Capital City entrenching the Empire's presence on Lothal. The Empire expanded industry on Lothal, expanded the mines, and increased their military presence on the planet. Despite protests from local farmers who had their lands expropriated for building new factories, military facilities, and mines, Pryce was unmoved and believed that the Imperial presence would bring prosperity and employment opportunities. Under Pryce's rule, Lothal became the main hub for the Imperial presence in the Lothal sector. Several months later, an opportunity came for Pryce to settle scores with her old enemy, Senator Renking. When Minister Tua informed her that Governor Sanz of Kintoni was planning to expand her planet's military-grade landing and maintenance facilities, Pryce regarded Kintoni's activities as a threat to her ambitions to establish Lothal as the main Imperial naval base and center in that part of the Outer Rim Territories. Pryce chastised Tua for not sharing her ambition of modernizing Lothal. Pryce departed for Coruscant to lobby on Lothal's behalf and left Minister Tua in charge. After arriving in Coruscant, Governor Pryce sent research materials and maps to Commodore Thrawn supporting Lothal's bid to expand the Imperial Navy's presence on that planet. Thrawn looked over the material and voiced support for Pryce's plans. Governor Pryce planning to give a presentation before the Imperial High Command supporting Lothal's bid. Pryce then visited Senator Renking and convinced him to persuade Governor Sanz to withdraw Kintoni's bid. Two days later, the corrupt senator managed to bribe Governor Sanz into sabotaging her presentation in return for a monetary bribe. Six days later, the select Committee of the Imperial High Command ruled in favor of Lothal, granting the planet a contract to expand Imperial naval facilities. Following the meeting, Pryce thanked Renking for his help. Shortly later, the Imperial Security Bureau Major Hartell arrested Senator Renking for bribing Governor Sanz. When Renking protested his innocence and claimed that Pryce had told him to do it, Pryce responded that she had told him to talk to Sanz and emphasized that her version of events was supported by the recording. Following the arrest of Senator Renking, Pryce returned to her office and received news from her receptions that her former friend Juahir had sent her a message about two hours ago. Juahir was imprisoned at the Oovo IV detention center and had been sending Pryce twenty messages for the past year. However, Pryce had instructed her Lothal office to turn them back. Still bitter towards her former friend, Pryce instructed the receptionist to keep the documents here on the ground that she was not ready to read them yet. At one point, Arihnda Pryce visited Coruscant to discuss Lothal's industrial and mining sectors, and was received by Grand Vizier Mas Amedda. Following the awarding of the Imperial contract to Lothal, Pryce was invited by Grand Moff Tarkin to visit his homeworld of Eriadu. Pryce indicated that she would return to Coruscant for the Ascension Week celebrations that year. Pryce's rule also saw the rise of a rebellion, particularly in Capital City. Arihnda Pryce was an ambitious individual who looked down upon her Lothalian roots. She was the daughter of Talmoor and Elainye Pryce, who ran the small family-owned company Pryce Mining. Pryce helped her parents manage the company until they were forced out by the machinations of Governor Ryder Azadi and Senator Domus Renking. She bore a grudge against both men and vowed revenge. While Pryce befriended the martial arts instructor Juahir Madras and the advocate Driller MarDapp, she turned against them after learning that their advocacy group Higher Skies was spying on high-ranking Imperial officials and was working with the rebel insurgent known as Nightswan. Pryce cultivated powerful allies in the form of the Chiss strategist and Imperial Navy officer Thrawn and the Imperial Security Bureau Colonel Wulff Yularen. She secured the Governorship of Lothal by trading information about Higher Skies to Grand Moff Tarkin. As an incentive, she also revealed that Moff Ghadi was planning to use Higher Skies' illegally obtained information to conspire against Tarkin. As Governor, Pryce settled scores with Azadi and Renking by engineering their political downfalls. Pryce had ambitions of making Lothal the center of Imperial power in the Outer Rim and was willing to expropriate farmland for factories, bases, and mines. Pryce could also be vindictive and refused to help her former friend Juahir. Pryce was not known to have any romantic relationships. While she had met several men who had tried to befriend or romance her, these contacts did not develop into relationships. Most of the people that she interacted with considered her to be a helper, champion or even a mother figure. Pryce thought that these perceptions would not be a good basis for a balanced emotional connection. While she was from Lothal, she had no interest in remaining there and coveted the glamour of Coruscant. She sold out her homeworld to the Emperor and allowed the Galactic Empire to make Lothal their local headquarters in the Lothal sector. She placed her own ambitions and career aspirations over the interests of the Lothalian people; this stood in contrast to her deputy ruler, Maketh Tua, who genuinely cared for the people. She rarely visited Lothal and only returned to her homeworld because the planet had become a haven for rebels about two years before the Battle of Yavin. Pryce saw the master tactician Grand Admiral Thrawn as a valuable asset in her fight against the rebel presence in the Lothal sector. Pryce loved and cared for both her parents Talmoor and Elaiyne. When Agent Gudri wanted to abandon them, she killed him. In order to cover her tracks, she detonated his explosives, destroying the mine where the Batonn insurgents were holed up and killing numerous civilians and several Imperial soldiers sent to rescue her. Her actions earned her the contempt of her ally Yularen. Pryce later justified the high civilian casualties by claiming that her actions eliminated the rebels in the Batonn sector. Pryce also curried favor with Thrawn by encouraging him to take credit for the events at Batonn and using her political connections to secure him command of the Seventh Fleet. She was also willing to torture the rebels Sabine Wren and Hera Syndulla in order to obtain intelligence on the rebellion. Pryce smirked in a sadistic manner after witnessing the deliberate death of Morad Sumar in a speeder explosion. Despite her confident demeanor, Pryce was alarmed when Thrawn suspected that the Rebellion had a mole among their ranks. When she suggested interrogating all Imperial personnel, Thrawn cautioned that this would only alert the spy and advocated luring the saboteur into a trap. Due to her trust for Agent Kallus, Pryce accepted his account that Lieutenant Yogar Lyste was the rebel spy known as Fulcrum. She believed that the fact that Lyste mistakenly stunned her along with the use of his code cylinder to free the rebel operative Ezra were evidence of his guilt. While Pryce believed that Lyste was guilty, Thrawn and Yularen realized that Kallus was the real Fulcrum and had framed Lyste. As a staunch Imperial loyalist, Pryce sought to boost her standing by capturing the rogue Senator Mon Mothma. She thought that it was too risky to travel through the Archeon Nebula. Mothma regarded Pryce as untrustworthy. Pryce wanted to capture Mon Mothma alive so that Thrawn could question her about the rebellion. Pryce's belief in superiority of arms and numbers proved folly when the rebels outmaneuvered her by igniting the Archeon Nebula. During a meeting with Thrawn, Admiral Konstantine, and Tarkin, Governor Pryce regarded a coordinated rebel assault as an unprecedented development. Lacking Thrawn's tactical and naval skills, she failed to prevent Mandalorian rebels from destroying a second Imperial interdictor cruiser. She was also easily goaded when Kallus taunted her about her failure to safeguard Thrawn's fleet. Pryce ordered her men to throw him out the airlock but Kallus escaped and reunited with his rebel allies. Pryce was visibly displeased when the rebels escaped into hyperspace. Pryce's fearful and passionate personality led her to advocate destroying a hijacked TIE/D Defender Elite with a kill-switch. However, Thrawn saw it as an opportunity to test the starfighter's capabilities. Pryce insisted on leading the operation to recover the wrecked TIE/D Defender Elite and resented Thrawn's decision to send the Noghri tracker Rukh to help with the hunt. Unlike Thrawn, Pryce had little respect for her rebel opponents and stunned Hera Syndulla even though she had already been disarmed by Rukh. Pryce's determination to destroy the Spectres led her to destroy the Lothal City fuel depot. While her actions brought about Kanan Jarrus's death, Pryce also destroyed the Imperial fuel supply on Lothal and thus compromised Thrawn's TIE/D Defender project and brought Imperial Industrial Operations to an indefinite screeching halt. Pryce's shortsightedness incurred the wrath of Thrawn. In an attempt to hide her failure from the rebels, Pryce organized a parade to celebrate the death of Jarrus. Despite her efforts, the rebels eventually saw through her deception. Pryce's determination to destroy the Lothal insurgents and regain Thrawn's favor led her to fall for Ryder Azadi's feigned betrayal of his rebel comrades. Pryce was also afraid of loth-wolves. Her desire to save her own life led her to give the rebels the clearance codes needed to enter the Lothal Imperial Complex. This enabled the rebels to bring the entire Imperial garrison back to the Imperial Complex under Protocol 13 and blow up the base. Pryce's commitment to the Empire led her to reject Ryder's offer to escape with them. Pryce chose to die aboard the Imperial Complex as a symbolic gesture of her devotion to the Empire. 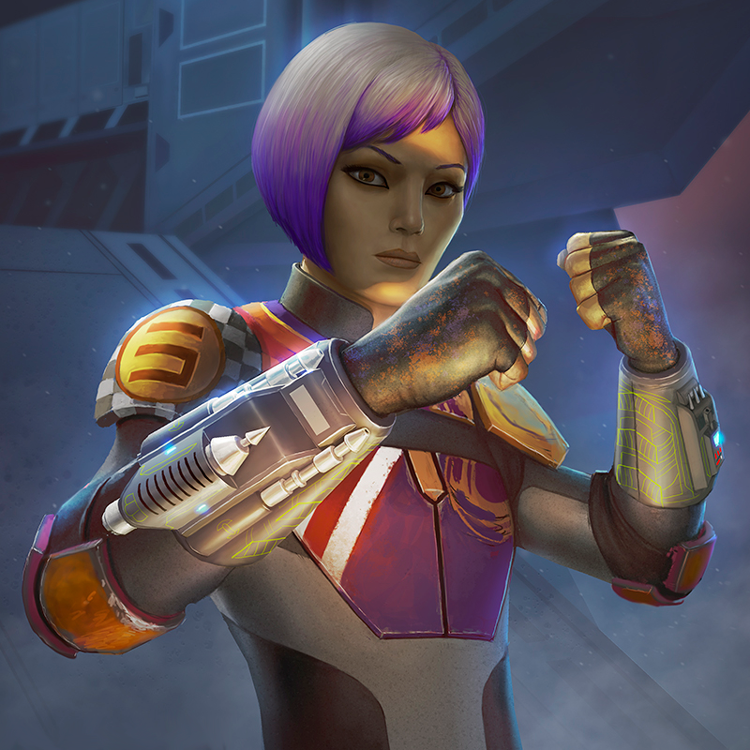 Unlike some other high ranking Imperial officials, Arihnda Pryce distinguished herself as a formidable hand-to-hand combatant, having received martial training and she was not afraid to get her hands dirty if necessary. Following an encounter with thugs on Coruscant, Pryce honed her combat skills under the tutelage of her friend Juahir and the bodyguard Ottlis Dos. During the Batonn insurgency, Pryce managed to fight off the ISB Agent Gudry and kill him when he threatened her parents. She was also tech savvy and knew how to operative comms and explosives. Pryce also killed a Batonn insurgent guard and covered up his death by detonating a nearby bulldozer. On another occasion, she actively engaged the Mandalorian weapons expert Sabine Wren in a fistfight rather than summon reinforcements or flee as most other officers would have done. Though Pryce managed to get in a few blows, her prowess was under-matched against a Mandalorian. Wren claimed victory in the fight by knocking Pryce into an interrogation table and electrocuting her. Governor Pryce later managed to hold herself against the former Clone Captain Rex in unarmed combat. However, defeat was snatched from the jaws of victory when Lieutenant Lyste mistakenly stunned her. Pryce was also extremely adept at covertly gathering information. While she worked for the High Skies Advocacy group, she secretly gathered information on many high-level Imperial politicians, for use in her own and other's schemes. Additionally, she was indirectly and directly responsible for smoothing over different 'bumps' in Thrawn's rise in rank as Thrawn, while undoubtedly a brilliant tactician, was almost completely inept at the game of politics. Pryce also knew how to wield an RK-3 blaster pistol and once stunned an unarmed Hera Syndulla. Completely agree, just watched that one, so I've gone and modified her to take that into account. She says the Empire trained her well, so I gave her 5D+2 Brawling, with a lower parry. Probably why I should stick to my rule about only doing stats for characters once they exit the series. I've been breaking that one a lot lately. I usually cut the background down, but there's so much that occurs off screen for this one, that I had to leave much of it alone.